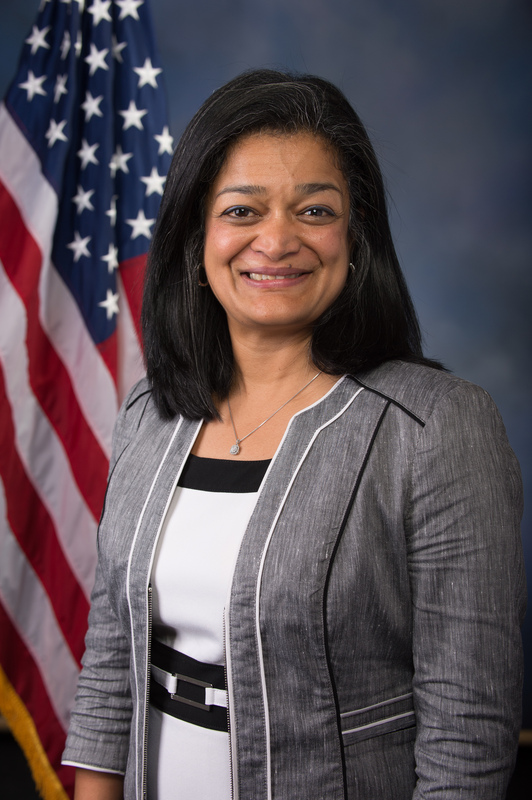 Elected in 2016, Jayapal represents Washington’s 7th District. This encompasses most of Seattle and the surrounding areas, including Vashon Island, Lake Forest Park, Shoreline, Edmonds and parts of Burien and Normandy Park. Jayapal founded Washington state’s largest immigrant rights group Hate Free Zone, now called One America. She serves on the House Judiciary Committee and the Subcommittee on Immigration and Border Security.